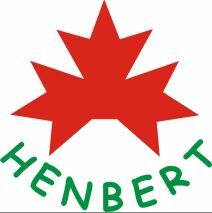 Henbert is syndicated affiliated private shareholding enterprise. We are focus our business on manufacturing waterproof, waterproof garment related, and firefighting orientated equipments and materials. Always holding the tenet of quality first, keeping improving, honesty uppermost and perfect service in line with the principle of specialized labor division and coordinated management, Henbert is now aiming at and striving for its goal of being a professional enterprise in facing every core domain. In thread equipment field: Shanghai Henbert machinery equipment Co. Ltd is a professional production base of waterproof equipment& garment. All Henbert products are of high technology content, humanization design, easy-operated, and superior performance, all of which are the impetus to make her to be a famous brand domestically and overseas, as well as enjoy high reputation of the whole trade. And with the idea of being environmental, energy-conservation and excellence-pursuing, Henbert has successfully imported professional manufacture equipment of international standard. Meanwhile, through adopting imported environmental materials, all of our product (PU, pure PU, tri-layer ventilative cloth, heat transformation materials, etc.) are totally accord with EU environmental criteria. Thus, we eliminate the outdated manufacture art and realize our product's none-toxic component standards, excluding such as acetone, toluene and DNF, etc. Henbert owns leading technology and complete post-sale service system and we are determined to devote ourself to manufacturing the most satisfying and practical product. Our success is based on your guideline and our product and service will help you determine what will meet your needs.